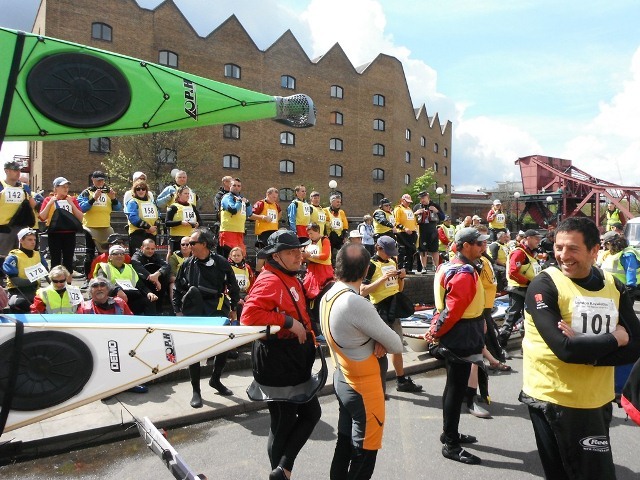 This year there were just under a hundred sea kayaks that took part in the charity event – mustering at Tower Hamlets, then paddling from under Tower Bridge to Chiswick Bridge and back again. It took place on the same day as the London Marathon, so it needed some careful planning to get people and boats to starting point to counter all the road closures – but we all knew that at least there would be a few people cheering from the bridges as we paddled under them (even if they were there for the runners!). Following a clear safety briefing by the organisers, we all headed to the river and a bit of a tricky get-in, which took a bit more time than expected to launch so many boats. When we finally set off it was great to see so many smiling faces and paddlers from all over the country and even a contingent that had travelled from Italy to be part of the kayakathon. The weather was typically British throughout the marathon distance up and down the Thames – switching from sunshine (do we need sun cream) to bitter cold pelting rain (do we need a blanket and thermos?). 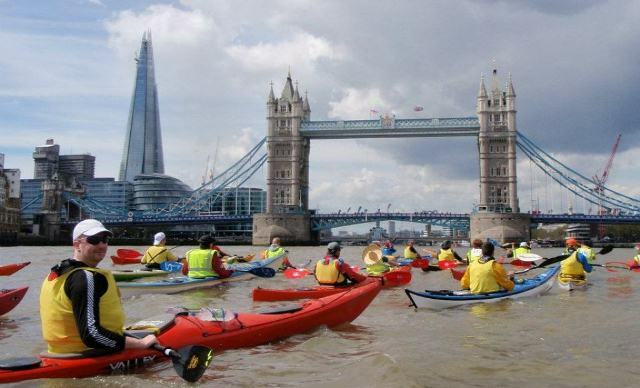 The changing weather didn’t stop us marvelling at how impressive our tight flotilla looked kayaking on the river as we passed the iconic landmarks including Big Ben, The London Eye, Battersea Power Station and HMS Belfast. We all had to paddle at a comfortable pace, set by the race marshals and safety RIBS, so it wasn’t too gruelling, especially as we had tidal support – but after about five hours we all really started to feel it. 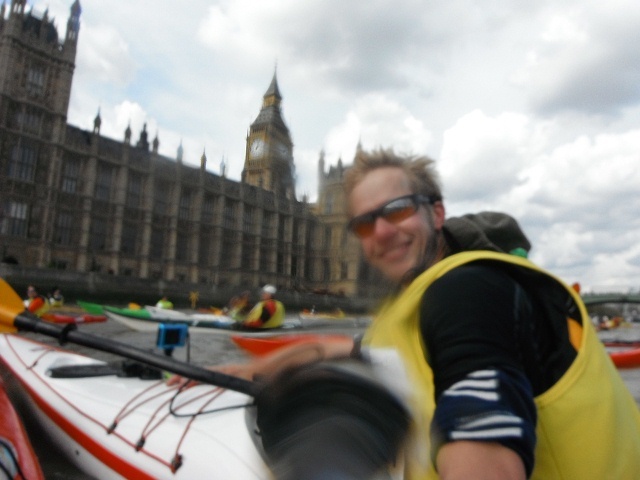 When we finally completed the official distance by passing under Tower Bridge nearly eight hours after first getting in to the boat – we knew that arms, shoulders and backs would ache for the following days (and they did). 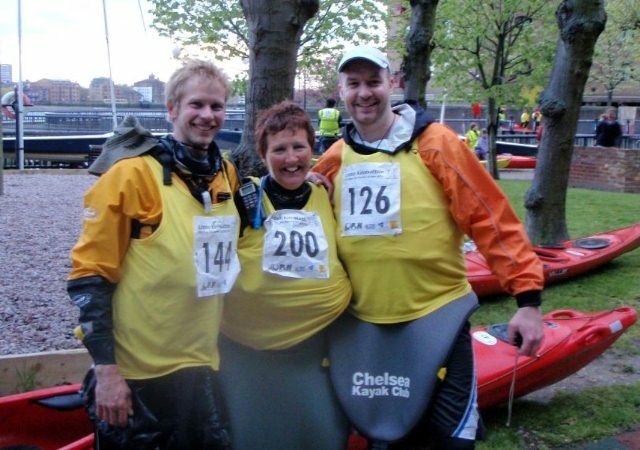 The next London Kayakathon will be in 2014 – it would be great to see a few more CKC faces step up and take the challenge… keep an eye on their website for details.